¤ Don’t want to wait in the queue at the start of the day? 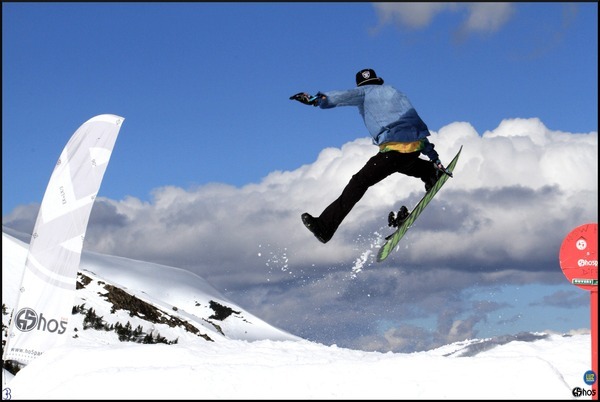 ¤ Looking for the best value ski pass for your stay? ¤ Not sure if it is worth taking a six day pass? There are three easily accessible ski areas in the Luz Valley (the ‘Pays Toy‘ – or the upper Vallées des Gaves (Vallées de Gavarnie Map)) where Luz St Sauveur is the largest village. They are Luz Ardiden ((Piste-map-Luz-Ardiden-2018-2019), Barèges (Pistes-Map-Grand-Tourmalet), and Gavarnie-Gedre (Piste-Map-Gavarnie-Gedre). Cauterets (Piste-Map-Cauterets), in the next valley, is about the same distance as Gavarnie to reach the bottom of the cable car. So there are four ski areas to choose from when staying in Luz St Sauveur. Access is possible by shuttle bus to Luz Ardiden, Grand Tourmalet and Gavarnie (in school holidays), Cauterets by car. Having a car is probably the most convenient option if you’d like to ski over three or four areas but if you are relatively well organised it isn’t strictly necessary. Three of these ski areas are associated with the N’Py group of ski stations. N-Py (standing for Nouvelles Pyrenees / New Pyrenees) unites eight Pyrenean Ski Resorts in a marketing, ticketing, purchasing alliance. The resorts accessible from Luz that are part of this structure are Luz Ardiden, Barèges-La Mongie (Grand Tourmalet) & Cauterets. 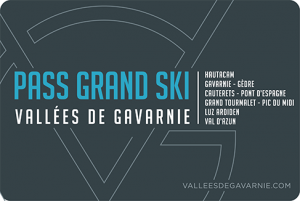 Gavarnie-Gedre is not part of the organisation, but is part of the Pass Grand Ski Pyrenees option. To avoid the ticketing office at the start of the day (or week for that matter) there are four options. 1. Buy a Rechargeable 6-day pass for one ski area (234€ for Grand Tourmalet/Pic du Midi, 180€ Luz Ardiden, 130€ Gavarnie). Add 3€/day insurance. 2. Order a Rechargeable Tele-N’Pass (free, ticket prices are the standard day rate, you need to recharge it the night before on-line before you ski, ski the number of days you choose). This has the great advantage of just paying for the days you actually ski. 3. 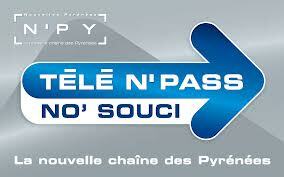 Order a No’Souci Tele-N’Pass (36€, which includes insurance for a full year, and gives 30% discount outside French school holidays, 15% discount during school holidays. There is no need to recharge – your credit card or bank account are automatically credited). New in 2018-19 the Grand Ski Pyrenees Pass gives access to five downhill ski areas in the “Vallées des Gaves” (Grand Tourmalet/Pic du Midi, Luz Ardiden, Gavarnie, Cauterets and Hautacam) along with three cross country ski areas (Val d’Azun, Hautacam and the Pont d’Espagne). It is 20€, is valid for 6 consecutive days and is an easy solution to have all the options. When you purchase the card you select whether you would like insurance or not, and then each day you ski your bank account or credit card is credited. The pass gives you a 15% discount outside school holidays and 10% discount during school holidays. The following table gives the listed day rates for each station, along with the No Souci high* and the No Souci low* rates, and the Grand Ski Pyrenees rates. * High is weekends and school holidays (22 Dec – 6 Jan 2019; 9 Feb to the 9th Mar 2019). Low is mid-week outside school holidays. ** Grand Ski Pyrenees and Gavarnie’s high rate is only for school holidays. Weekends outside school holidays are the low rate. ¤ Grand Tourmalet = Barèges+La Mongie. The day rates are the prices you will pay if you simply line up and buy a ticket at the ski station, or if you have a Rechargeable Télé N’Pass. The No’Souci prices are for those only with a No’Souci pass. Note that if you stay in Hotel Les Templiers we have day passes for Luz Ardiden and Gavarnie at special rates. Luz Ardiden for 30€ instead of 35€ and Gavarnie for 25€ instead of 28.50€. So which ski pass to buy? 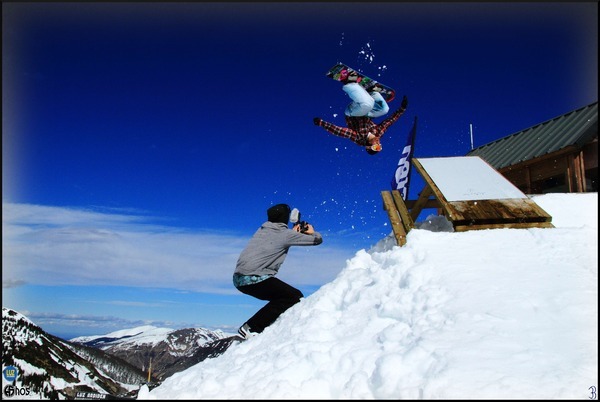 Is it worth buying the six day pass or are you better off just skiing day by day? If you are sure to only do downhill skiing then the No’Souci card (36€) is the best option as it includes your insurance and has larger discounts. The Grand Ski Pyrenees (20€) card is a good idea if you would like to explore the whole valley and do both some downhill and Nordic (cross country) skiing. Organising yourself before you arrive means you can take advantage of the conditions, whatever they are, when you arrive, with minimum fuss. 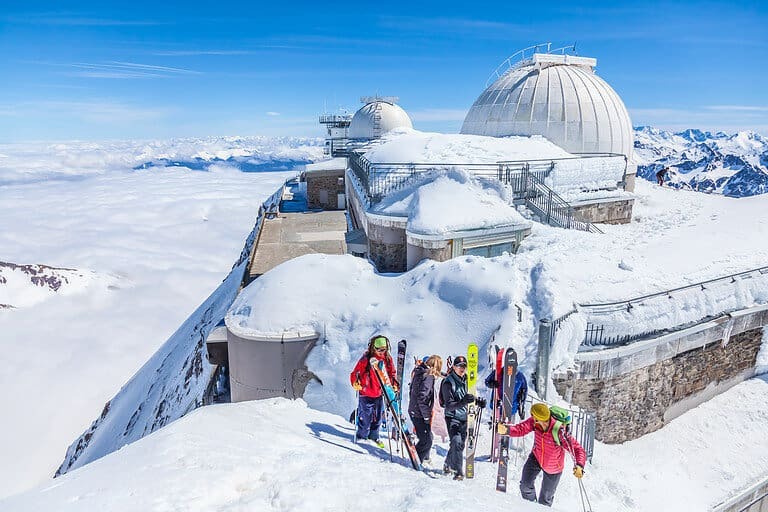 Clearly the No Souci Pass is an excellent solution if you are planning on skiing six days with three or more days outside Grand Tourmalet/Barèges-La Mongie, and particularly if you are not here in school holidays. If you are skiing less than five days then you may not make back the purchase price of the No’Souci Pass so you’ll be better off simply with the Rechargeable Pass. The No’Souci Pass has the big advantage of not needing to recharge it on the internet before you go (or worse, at the ticket office). You can simply decide to go and it charges your bank account/credit card directly. If you would like to do a day or two of cross-country skiing then the Grand Ski Pyrenees Pass could be a good option as it allows you to just have one card and never stand in a queue to buy a ticket. Is there plenty of skiing around here? Indeed there is! Happy skiing in the Luz Valley!